In today’s hyper-paced modern world, development does not mean just transforming economies; development today is about transforming the lives of people. According to the report, ‘India@Digital.Bharat’ 2015, by the Boston Consulting Group and Internet & Mobile Association of India, India’s internet economy is expected to grow $200 billion by 2020 and will contribute 5 percent to the gross domestic product (GDP) of the country. Growth of internet in India has helped companies to lower their cost of marketing and reaching customers with more personalized approach to sell the goods and services around the world. This represents the underlying rationale of transforming India into a digitally-empowered society and a knowledge economy. Marketing is a process. The basics of marketing involve telling the story of a brand to people and persuading them to be a part of it. Its ultimate purpose is to communicate the value of a product or service to people to such a level, that either they purchase the product or service, or at least, are interested to learn more about it. 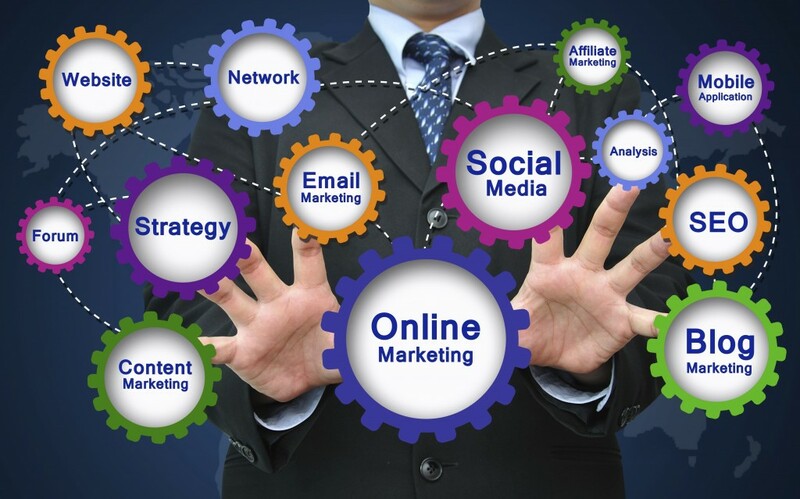 Digital marketing has opened innovative ways of doing business. It is shaping the world of marketing and advertising with its striking advantages like cost effectiveness, instant responses, flexibility, reach, convenience and effectiveness. Community-driven initiatives, such as Barefoot College in Rajasthan, Chanderiyaan in Madhya Pradesh and AirJaldi in Himachal Pradesh are marketed digitally, and have established their presence in the market. Therefore, digital marketing today is about personal, one-to-one interaction rather than one-size-fit-to-all approach. During 2016-17, most of the industries were struggling with growth rates ranging in between 6 percent to 11 percent, only the digital industry saw a growth rate of 41 percent which is expected to continue in 2017-18. The Indian digital media segment is set for disruption with growth expected to reach Rs 20,000 crores by 2020. Rapid rise in the use of online banking, virtual personal assistants such as Siri and Google Assistant, the online payment gateways, like Paytm, Mobiwick and BHIM, buying and selling through online virtual stores like, Flipkart, Big Basket and OLX are some of examples of the emerging digital India. Other major developments that are shaping the marketing landscape include better integration of brand, lead generation, improved cross-device measurement, and enhanced targeting/addressability by companies to provide customized and personalized services to customers resulting in developing long lasting relationship with them. Need of the hour is, that the organizations should develop their digital vision, design new digital business models and determine how to acquire the necessary digital skills and capabilities. Business requires analyzing huge volume of data and its complexity in the shortest possible time for decision making and reaching to the customers. Hyper –personalization would be the next big move with the major challenge to keep pace at which the consumers expect to interact with companies. To avoid falling behind the competition, organizations need to rethink how they do business in the digital era, in which change happens at warp speed. Those that cannot keep up will lose business to competitors that respond quickly. It is therefore, crucial to develop a digital strategy and begin the digital transformation sooner rather than later.